A six-month term given to the Commission in charge of amending the Burundi Constitution has expired this 15 November. The commission in charge of amending the Burundi Constitution ended its term and has already suggested the provisions to be amended. However, some politicians diverge on the procedure adopted by the commission. Tatien Sibomana, an opposition political actor, deplores the fact that the commission did not wait for the deadline it had been given. “The commission submitted their proposals before the end of the term”, he says. He says all issues concerning Burundians should be resolved through dialogue. Sibomana also says the other principle was consensus democracy at the cost of majority democracy. “The principle of revising the constitution by ignoring this principle simply denies the spirit and even the content of the Arusha Agreement and the resulting Constitution”, he says. Sibomana, the political actor, says that, in its article 299, it is stipulated that any revision of the Constitution cannot be initiated if it undermines the unity of Burundians, social cohesion and democratic principles. 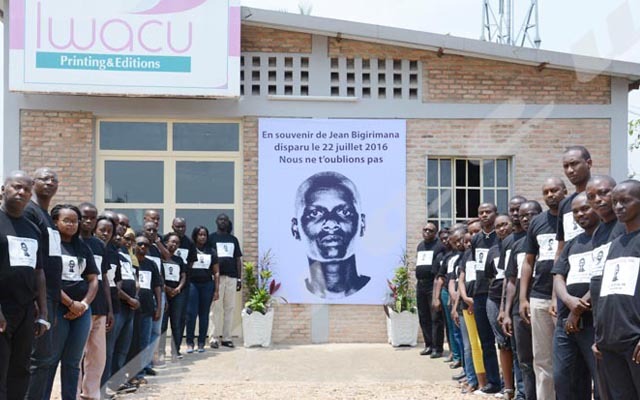 “We were experiencing a crisis that led to the exile of many Burundians including politicians, journalists and leaders of the civil society organizations”, he says. Sibomana says the commission did not take into account the situation Burundians are going through. “The procedure did not take into consideration the interest of all Burundians”, he says. Keffa Nibizi, the chairman of Frodebu Nyakuri says the amendment to the Constitution is the result of the previous meeting held in Gitega between political parties and the government. He adds that the commission has respected the procedure. “ We sign a resolution requesting the commission to amend the constitution taking into account the major decisions taken by the National Commission for the Inter-Burundian Dialogue”, he says. He says the majority of ideas and opinions expressed during the CNDI sessions have been taken into account. Nibizi also says that there is no article in the Burundi constitution which specifies that the commission have to consult all stakeholders. “The concerned article stipulates that the Head of State must consult the government members to submit the proposals for the amendment and does not require him to consult with any party, either a political or social party”, he says. On 24 October, the government has authorized the commission to amend the constitution in its previous meeting of the cabinet ministers. Philippe Nzobonariba, Spokesperson for the government said the Council of Ministers adopted it and gave permission to the commission to move on to the next step. Out of the 307 articles in the current Constitution, 77 will be amended, 3 will be completely removed while 9 new others will be added. The so-called amended constitution suggested that the Head of State will be elected through direct universal suffrage and the prime minister who is the head of government will come from the elected representatives of the party in power. The Head of State will also be assisted by a vice president from different ethnic group and political party of the president of the republic.